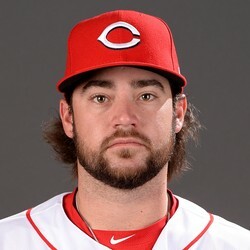 With the addition of Matt Harvey, Brandon Finnegan lost his spot in the Reds’ rotation and was optioned to Triple-A Louisville on Thursday. Finnegan has had a bad start to the season making it through five innings just twice in five starts. His ERA was 7.40 with an 0-3 record while striking out just 14 batters in 20 2/3 innings. He began on the season on the disabled list with a left biceps strain, so that could be a reason for his poor start. At this point he is only rosterable in deep leagues, you can always pick him up on the waiver wire later if needed.